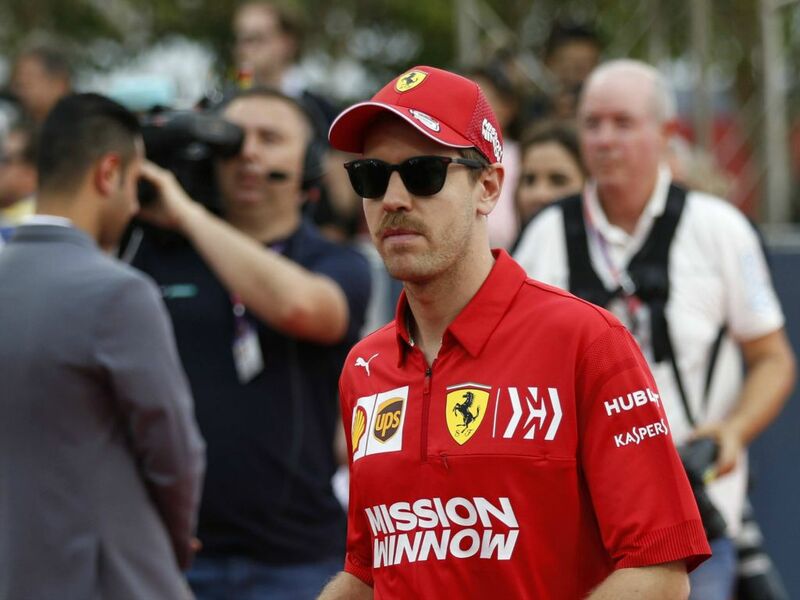 Sebastian Vettel’s latest mistake shows he is not an elite driver, Charles Leclerc proved a hell of a lot and reliability could prove to be Ferrari’s downfall. The debrief from a dramatic Bahrain Grand Prix is well underway and our readers had plenty to talk about after Mercedes claimed what was an incredibly fortunate 1-2. I’m truly gutted for Leclerc. He has proven a hell of a lot this weekend and that Ferrari is very capable of winning the title. For Vettel and Ferrari there were shades of 2018 there. Seb threw away potentially crucial points with the kind of error he just never seemed to make when he raced for Red Bull. But he got away with it to an extent due to his team-mate’s misfortune. Down to earth with a bang for Bottas, comfortably beaten by Hamilton who drove pretty well but not exceptionally so. "It was a tough race for Charles, but he did a great job all weekend and I'm sure his time will come. We're leaving Bahrain with lots of points but also a lot of work to do for China." Good race. Fair amount of excitement going on, although overtaking looked a little too easy at times. Leclerc made his team mate look like the rookie and drove a superb race. Bottas’ “resurgence” seemed to be short-lived, while McLaren can probably be happy that they looked very competitive behind the Big Three. Sainz looked quicker than Max and if not for his puncture may have come tantalisingly close to a podium. Ferrari was the best car this weekend no doubt so it was a very poor weekend for them in what seems like might be a very tight season. Said it before, and will say it again and again Vettel is not an elite driver. He is the most fortunate driver in F1 history and has more titles than he’d have won with any sort of true competition. He is known for putting it on pole and scampering away, yet he wasn’t allowed to do that this weekend because Leclerc was superior, out-qualified him and then when Vettel thought he would scamper away he suddenly found Leclerc back in his mirrors immediately. If the stories about Ferrari having to run in a lower mode in Australia are true then it seems they have a reliability problem – remember they had a few towards the end of testing. Gutted for Leclerc, he was excellent all weekend. 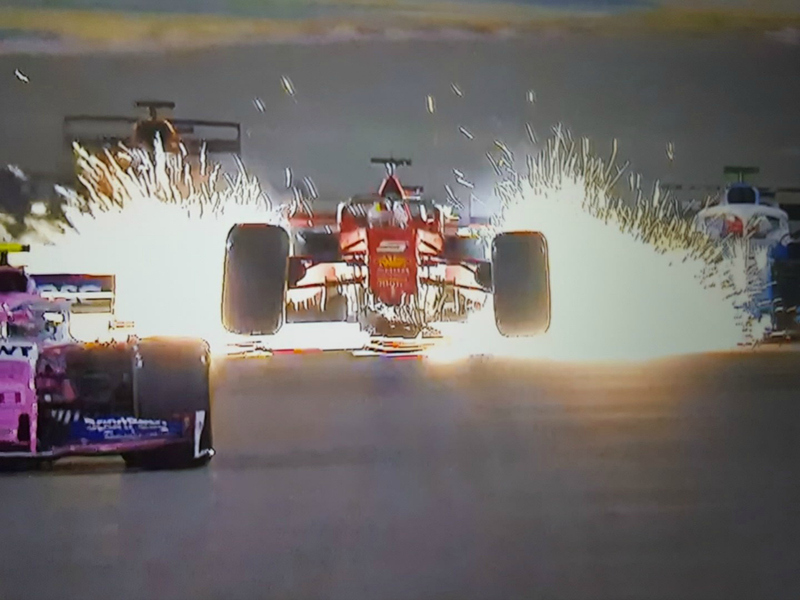 Vettel needs to hope this was just a bad weekend. Bottas – where did he lose so much time? Seems the new, ruthless Bottas might have been short lived. Well done to Hulkenberg (also unlucky) and Norris for very good drives in the midfield. Also, Red Bull struggled this weekend so interested to see how that plays out in the coming races. Sebastian may never win another WDC, although I would not be surprised if he did. I think it will take an army to keep Lewis from winning at least one and probably two more. Given Hamilton’s usual late season charge up the points, you better have a comfortable lead in the points by the summer break if you want to deprive Lewis of his next WDC. This race leaves us with a lot to think about. Of course, for Mercedes, on the surface, things are looking great. Back to back 1-2 finishes and their drivers are 1-2 in the standings. The reality though is that it does appear that the Ferrari has the higher ceiling at the moment (albeit with some mechanical gremlins). I’m sorry for Charles. He was really outstanding this weekend. He left Vettel in the shade both on Saturday and Sunday. As unfortunate as it is that he didn’t get the win; I think he did effectively put an end to any notion that he will play the #2 role from early in the season. He has earned the right to fight and I think he will have it. Rough race for Vettel. After the difficult 2018 season; Vettel was up there with Bottas as someone who most needed to get off to a good start this year. Two bumpy races in a row and I think he will now be desperate for a good performance in China. For Lewis this was kind of a gift. I thought he performed well and was set to finish second by a big margin to Bottas but he’ll take the win and he will feel good about the first two races overall I suspect. He’s not generally in top form so early in the season but he is the best out there when it comes to consistently bringing home results. Calling it now…Leclerc for the title! Somebody did this last year and got it right, but they waited until a consistent pattern had emerged. I’m going bold and calling it after the second race. 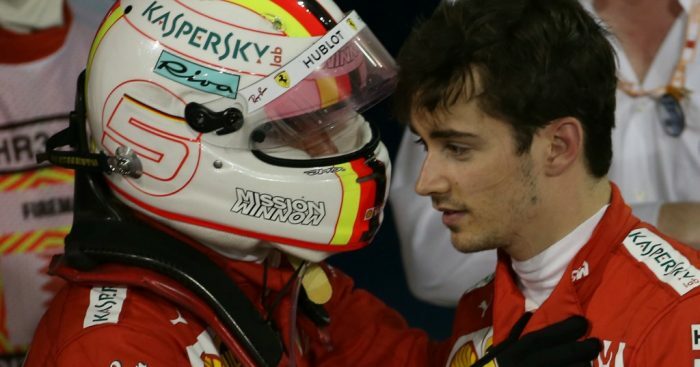 What we saw from Leclerc in Bahrain lived up to the promise I knew (certainly hoped!) he had, and once Ferrari start focusing their attention on him he will prove too much for Hamilton to overcome with the Ferrari being the slightly quicker car. Man, it has been just one race that Leclerc has beaten Vettel!! Bottas usually looks stong in races at the start of the season. But he didn’t this time. But he won Australia comfortably and is leading the championship. He he going to win the championship? Really unlikely. Vettel also looked off his usual pace to me which I don’t think will continue like this. Nobody started getting excited about Bottas being WDC when he looked better than Hamilton early on in 2017. Which he did in qualifying in Bahrain and then dominated in Russia like Leclerc did against Vettel this weekend in Bahrain. That was four races in, but this is just two. 19 more to go. Basically still a full season. I don’t know why some people seem to be expecting Vettel to continue like this. 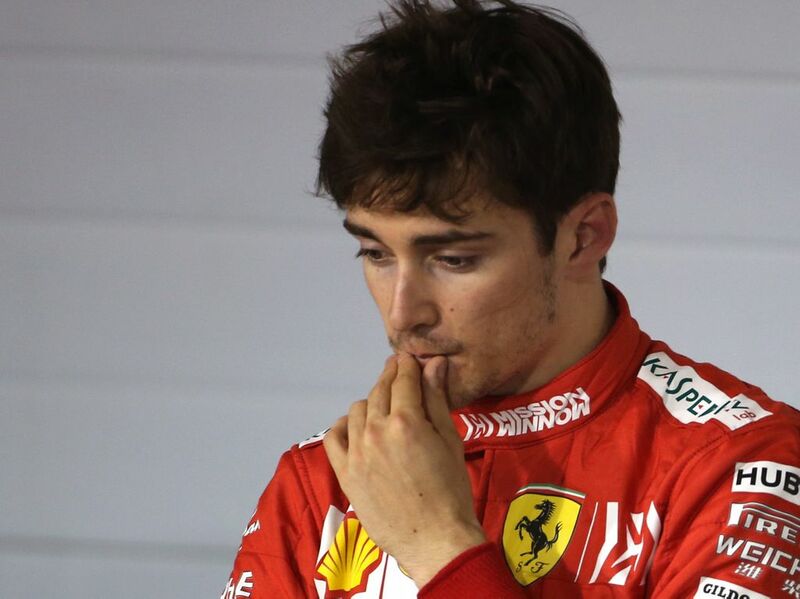 He may be inconsistent, but every season, he still has many extremely good races and we don’t yet know if he will be far better than Leclerc in those. I think he will soon find his form and use his experience to his advantage. Leclerc still looked very weak in pretty much every wet session last year even as recently as Brazil against Ericsson. It is far to early to conclude anything anything and I still think Vettel will likely beat Leclerc overall this season. This track suited Ferrari really well, I just don’t think Vettel or Bottas coped well in the windy conditions.